Westbrook Senior Living was a brand new place and very nice. I was very impressed with its location because on both sides of it are forest preserves. I enjoyed the meal in the main dining room because it was excellent, well prepared, and nicely served. They have a very nice program department and everybody was very friendly. The whole place was well appointed with a lot of public places to gather. The tour guide was very friendly and very knowledgeable. They also had a very good transportation service for their residents. I visited several rooms, and they were extremely clean. The environment in Westbrook was really good, and I was really impressed. Everything was organized, and all the people there were happy and well-assisted so I became very confident. I saw their amenities. They have a library, and they were doing some exercises in the place for people with Alzheimer’s. I did not eat there, but I saw people getting lunch, and I got the impression that the food was very good. They have a place to eat ice cream, a place to walk, and so on. It was beyond my expectations, it was really nice, and they were very good. We are so pleased you enjoyed your visit to Westbrook Senior Living! Please let us know if there is anything else we can do for you; we are more than happy to help! Westbrook was a nice place, but it was much more expensive than others. There was an inviting park behind it. The place looked more clean than the other community I visited. The menu card looked inviting. They had a library and an exercise room. The rooms at Westbrook were comfortable. The outside had siding and a little porch with wicker chairs that made it feel like you were going into your home. My only concern was that there was only one door leading to two different rooms. For me, especially if you have somebody who has memory issues, it might be difficult for them to remember which one of the bedrooms is theirs and might wind up in an altercation or argument with the other resident. The rooms looked comfortable but not furnished. The activities were basically set up where they have memory-stimulating games, crafts, and things to keep them busy with their hands. They will have the residents come and help them or with something that they enjoy doing, like cooking. Some residents like to clean, so after meals, the residents could do whatever makes them comfortable as far as cleaning, like wipe off the tables or sweep, which will keep them feeling useful and helpful. The dining area looked very nice. They not only have memory care but they also have assisted living and senior living, so they have three different groups of people. The dining area that I saw was for assisted living and senior living. I saw an eating area in memory care, which wasn’t decorated or anything, but it looked nice. It was a nice open area without separate spaces in memory care, which is what I like because it is less confusing. If a resident with Alzheimer’s is looking for a familiar spot, instead of there being two different wings or four different sections like where my grandmother is living now, there is just the one area. I liked that. Westbrook was absolutely fantastic. It was brand new, very bright, clean, and nicely decorated. The lady who took us around was very good and very knowledgeable about the place. There were residents running around doing different things. The one thing that really impressed me was they had a greenhouse for the residents to use. They will get you anything that you need, they're very accommodating, it's light controlled and climate controlled, and it's really neat. We passed through the dining area; we saw the menu, and it looked very good. We were very impressed with Westbrook. It is in a nice area, it is well thought out and planned, and it is not a buy-in. For the average person, it probably has more amenities than they need, but not for us. These types of places are for special needs, and we were looking at something like that. In case we should be needing it someday, Westbrook is one of the ones we would consider highly. The rooms were good choice, but nothing is going to be ideal, and there is always something to be wanted for. Westbrook Senior Living was very nice and brand new, but pricey. One thing that bothered me was the music on the first floor. Otherwise, it was lovely, and the rooms were lovely. The dining area was very nice. They have a library, a bistro, outdoor places to sit, and little courtyards with tables. Even though it's right off a busy road, it's kind of secluded, and it backs up on the Busey Woods, so there's recreation and walking areas very conveniently located. It's a very nice facility. The sales rep was very informative, very friendly, very nice, followed up with me, and she was very professional. They were having an exercise class in one room and they also had a lecture going on. It's a beautiful facility. 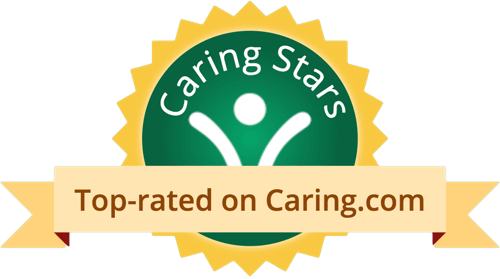 Hello, we are so happy to read such a great review about Westbrook Senior Living! If you have any further questions, please don't hesitate to reach out! We hope you have a great day! Westbrook Senior Living seemed very nice. We toured the place, but they would not let us bring our dog in. They have a limit of 25 pounds on pets and he's 75 pounds. Otherwise, we thought it was a pretty nice facility. They have a library, an activity room, and many of the rooms had balconies, which was nice. The staff was nice, knew everything, was able to answer all of our questions, and were very friendly. Den, we are so happy to read such a great review about Westbrook Senior Living! Thank you and we hope you have a great day! The rooms at Westbrook Senior Living were slightly larger than other facilities. They had two bedrooms, so it was a little bit more comfortable. They showed us the dining room, the outside gardens (which we saw through the windows), the patio, the library, and the snack bar area. They had a list of activities. It's definitely clean. The one lady that walked us around was very nice. It did seem to have more outdoor space available, like gardens and patio areas that were nice. I'm kind of an outdoor person so that appealed to me. But still, it was too confining, and we're not ready for that. My mother has been in Westbrook Senior Living for only a couple of weeks now and she's very happy there already. It's beautiful, only 8 months old, and a smaller community, so it's easier for her to get around and easier for her to get to know people. Everything is amazing, including the staff who helped me through the process. She has a laundry facility in her apartment and a balcony. The food is good. They have Bingo, cards, crafts, a reading room, outings, puzzles, movies, and people come in and entertain. There's something for everyone. They have a hair salon and visiting doctors. It's a phenomenal facility. The new Westbrook Senior Living community offers a continuum of care including Independent Living, Assisted Living, Transitional Memory Care and Memory Care, all in a secure, comfortable and home-like setting. Our continuum of care allows seniors to age in place and easily transition from one residential care setting to another, all within the same community. We offer an abundance of floor plans including studios, one-bedroom and two-bedroom apartment homes, all with an affordable month-to-month rental program that allows residents to enjoy comfortable living without a restrictive buy-in plan. The dining program features the comfort of fine restaurant-style dining with chef-prepared meals featuring daily specials, flexible meal times and a variety of menu choices. Dietary needs are always taken into consideration at Westbrook Senior living as we strive to provide our residents with healthy, satisfying food options. We also provide a wide variety of activity programs promoting both physical and cognitive health. Our staff seeks to promote independence by motivating our residents to be as active and involved as possible. 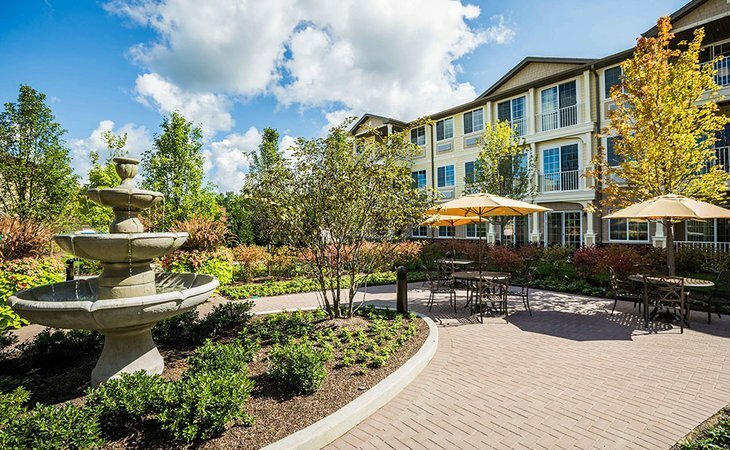 The new Westbrook Senior Living community offers a continuum of care including Independent Living, Assisted Living, Transitional Memory Care and Memory Care, all in a secure, comfortable and home-like setting. Our continuum of care allows seniors to age in place and easily transition from one residential care setting to another, all within the same community. We offer an abundance of floor plans including studios, one-bedroom and two-bedroom apartment homes, all with an affordable month-to-month rental program that allows residents to enjoy comfortable living without a restrictive buy-in plan. The dining program features the comfort of fine restaurant-style dining with chef-prepared meals featuring daily specials, flexible meal times and a variety of menu choices. Dietary needs are always taken into consideration at Westbrook Senior living as we strive to provide our residents with healthy, satisfying food options. We also provide a wide variety of activity programs promoting both physical and cognitive health. Our staff seeks to promote independence by motivating our residents to be as active and involved as possible. What should caregivers and potential residents know about Westbrook Senior Living?